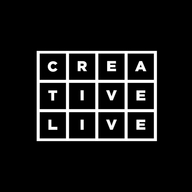 creativeLIVE provides the best free, live creative education on the web. We offer high-quality workshops in photography, business, video, web and graphic design, and more. Watch this course on creativeLIVE for the full workshop experience. View our calendar of upcoming courses. Browse our catalog of all past courses available for purchase. Thank you from everyone at creativeLIVE!